Other Items: Jacket, slicker, hat, sunscreen, polarized glasses and camera. All rods and reels are furnished with the exception of fly rods. Please note:If you have a cell phone, Verizon cellular works best in our area. If you are an Arizona Resident and possess a license for Arizona, you will need a Utah Stamp for Lake Powell as we fish both Arizona & Utah waters on Lake Powell. You can purchase and keep receipt on your phone for fishing Lake Powell and have proof if you are short of time. If you are a Utah Resident you will not need an Arizona License for Fishing Lake Powell as Utah is reciprocal for both Arizona Fishing and Utah Fishing at Lake Powell. If you are traveling here from other states or out of the country you can visit Utah Game & Fish online and purchase a 3 day minimum which is $24 and this will cover both Lake Powell in Arizona and Utah. Please visit Utah Game & Fish and purchase your license. They do have a mobile app which allows you to purchase and carry on your phone as well. If you are in Page, AZ and would like to purchase directly, please stop by Stix Bait and Tackle who are open from 5:00 a.m. till 9p.m. 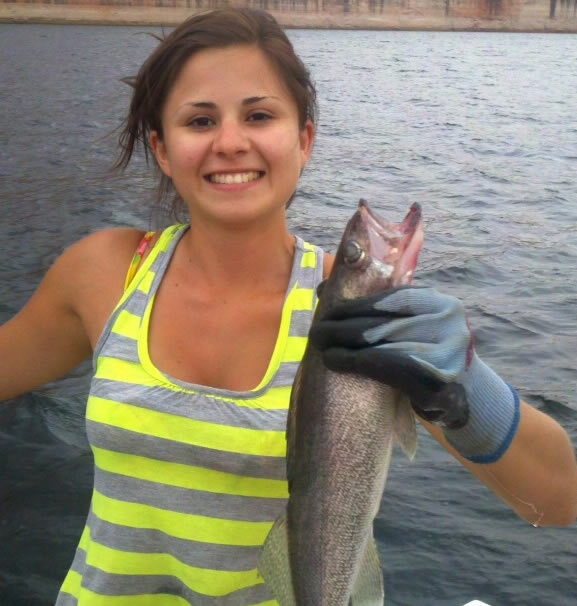 daily to purchase the appropriate fishing licenses for Lake Powell.